This blog breaks down the difference between a Content Marketing Strategy and a Content Plan. It then dives into National Observances that your team should consider integrating into its content or editorial calendar. 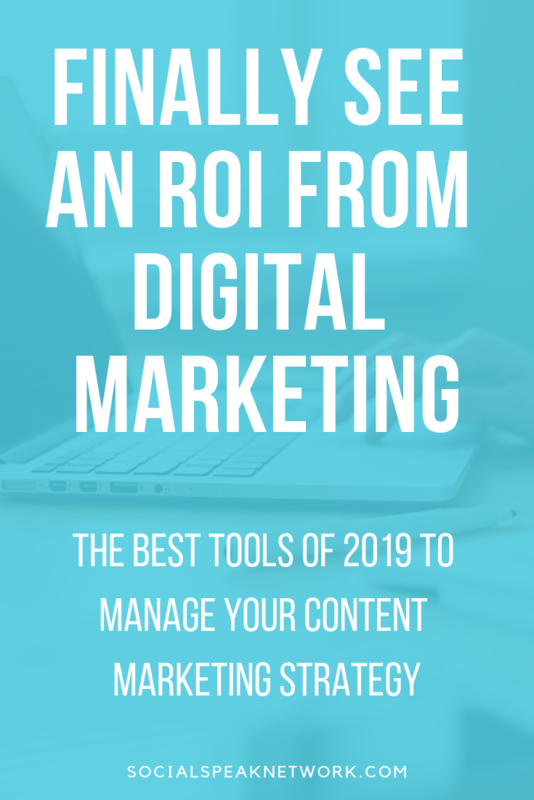 As we’ve worked with hundreds of businesses as they work with digital marketing to reach their business goals, we’ve found that more often than not there is a disconnect between what they are trying to accomplish and what actually gets done. A lack of planning for how to implement the content strategy causes content to be created in a vacuum. The content is not written to achieve a specific goal. Originally I was going to write this blog to only focus on the difference between a Content Marketing Strategy and a Content Marketing Plan, but keeping your sights on external and national events is critical to participating as a relevant source of information in the digital world. Let’s start by diving into a Content Marketing Strategy. A content marketing strategy is the Why behind the content you are creating. It includes identifying why your team is creating content, it is the vision you have for future content that is to be created. This strategy should also identify who you are marking content for. Are some pieces of content designed specifically for prospects, referral partners, or clients? How can you differentiate between them? What are the goals of them? How will you position and use them online? To start creating your Content Marketing Strategy, set your goals. We recommend thinking first about the issues you may be facing as an organization and then set the goals as a way to solve these. For example, we’ve worked with clients in the past who wished to use digital marketing to fill their schedule. After diving deeper, we recognized that they weren’t remarketing to or rebooking current clients as effectively as they could. As a way to capture low-hanging fruit, rather than creating content to educate and gain interest from folks whom had never heard of the client, we redesigned the content marketing strategy to focus on engaging with current and past clients. Once you have identified a need in the organization and set a goal, it is easier to recognize alternative solutions to reach the goal. Another aspect of the Content Strategy is identifying what tone you wish to take. 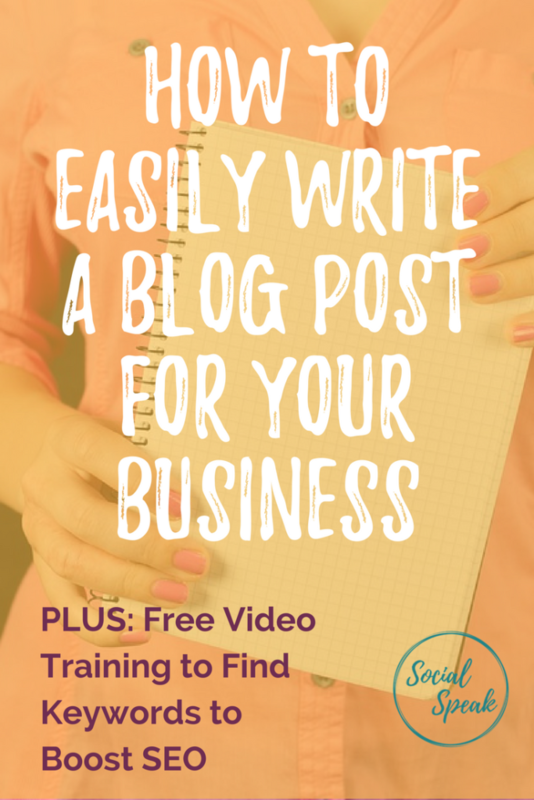 For small businesses with only one or two content creators this can be easy. Do you speak in the first person, do you use past or present tense, are there branded keywords you should incorporate? The last part of the content strategy is identifying which digital marketing networks to pursue and who to target on each network. A content marketing plan is tactical – these are the actual steps you will take to implement the marketing strategy. In general, we never recommend creating a digital marketing content plan without first creating the strategy. Why? You may realize after 6 months that the content you are creating has nothing to do with the goals you are trying to achieve! We see this often with teams. The director states that each week a blog needs to be written and at least 3 social media posts need to be published each week. However, the marketing experts creating the content don’t clearly understand how their piece fits in with the larger marketing strategy. What is the end goal of the content? 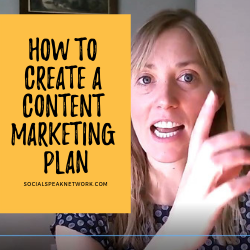 The content marketing plan should include topics to cover, calls to action to include, specific promotions, who is responsible to creating various pieces of content, and how content will be published. In our work, specifically the Roadmap to Digital Marketing, we recommend formatting the bulk of a content marketing plan like an editorial calendar. 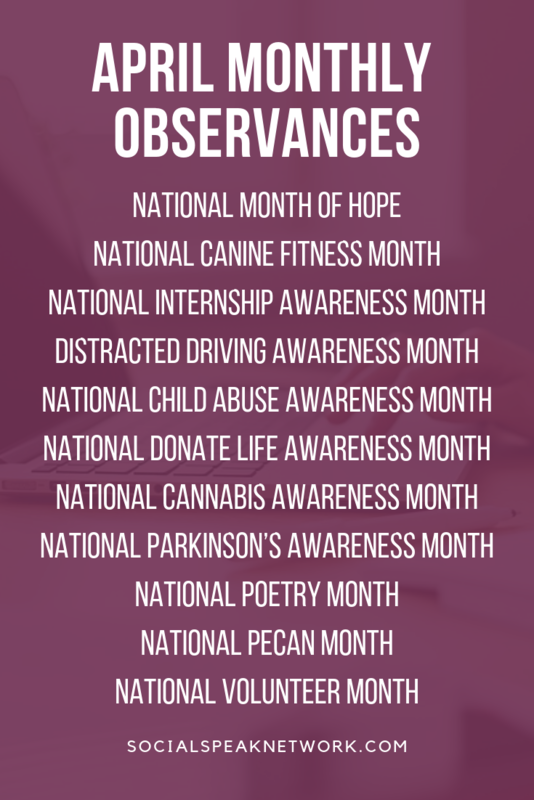 An editorial calendar for digital marketing allows your team to easily see how content fits together and what topics should be talked about at certain times during the year (hence my inclusion of the National Observances list below). 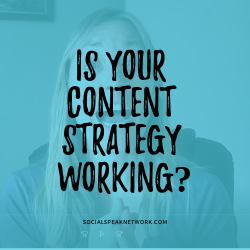 As described above, a Content Strategy always comes first and the Content Marketing Plan is built based on the goals identified in the strategy. One of my favorite examples of how a strategy and a plan work together is if an issue within an organization is that the close rate for new sales is lower than the industry average. The goal here may be to increase the close rate, boosting the bottom line. After researching and surveying clients and prospects that decided to pursue another option, it becomes clear that the alternative tends to be a business with more name recognition. How can content marketing help to shift the perspective and gain more trust? Here the strategy is to increase brand recognition and trust. The plan could be to create more videos with leadership and to incorporate blog posts that dive into company values. This brings us to using relevant topics as a part of your marketing plan. If you are like 98% of our clients, one of the key goals identified in your content marketing strategy is to increase brand recognition and position your organization as an industry influencer. 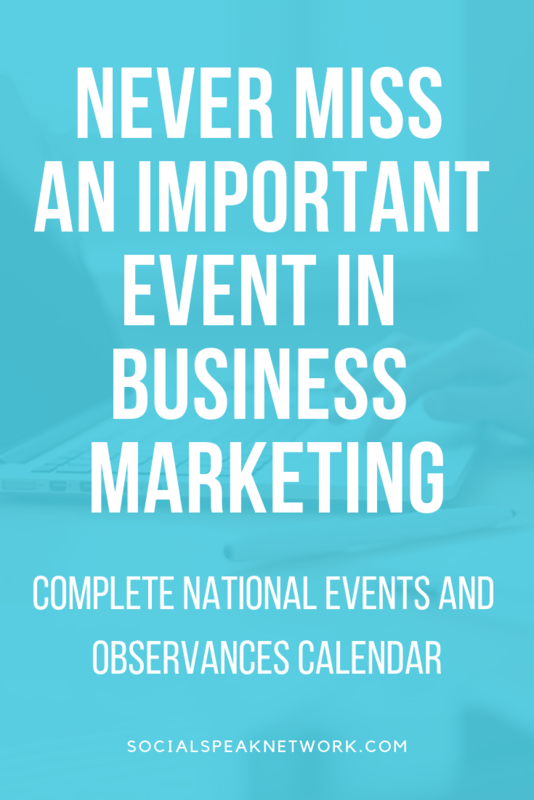 Incorporating National Observances into your Marketing Plan is a key tactical decision your company can make to achieve this. 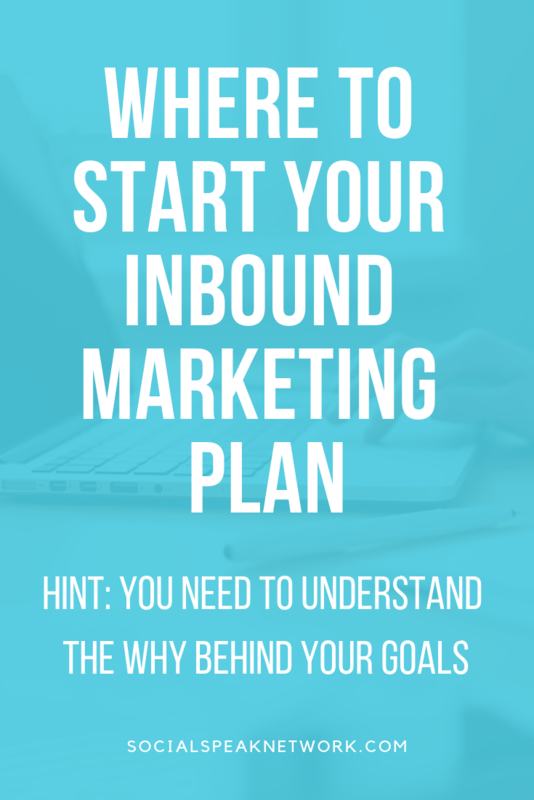 Of course it is up to you and your team to decide which ones to highlight and how to incorporate them (podcasts, Instagram, Facebook, Youtube, promotions and sales, etc). Some, such as New Years, Valentine’s Day, Mother’s Day, Father’s Day, the Fourth of July, Thanksgiving, and Christmas may all seem like obvious choices, but are they actually identified in a calendar? Does someone on your team know that they are responsible for creating content 3-6 months in advance of these dates? Then there are industry-specific days, weeks, and months. For example, if you are a health center and realize in February that it is American Heart Month, you are already late to the game. You’ve missed the opportunity to reach new audiences by being a guest on a Podcast or having a guest blog post published in an industry journal. Yes, you can still publish a last-minute blog to share on social media, but think of the opportunities you may have missed by not planning ahead. 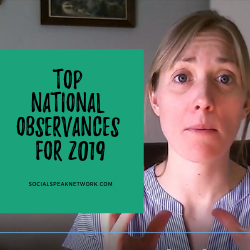 Here I’ve identified the top 3-5 National Observances for you to consider integrating into your marketing plan each month. The ones I’ve identified here are important, though some are a bit random. 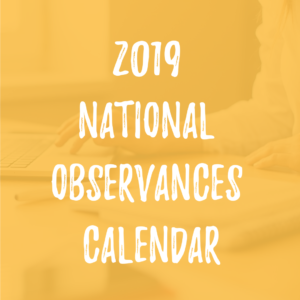 Our complete list of National Observances includes events for any type of business or industry. Please enter your name and email for access to our full list of National Observances for 2019. As you build out your Digital Marketing Plan, we recommend downloading our complete list of National Observances. Start by deleting any cells or events that don’t apply to your business. Be sure, however, to think outside of the box. Could you celebrate National Chocolate Chip Cookie day with the office? 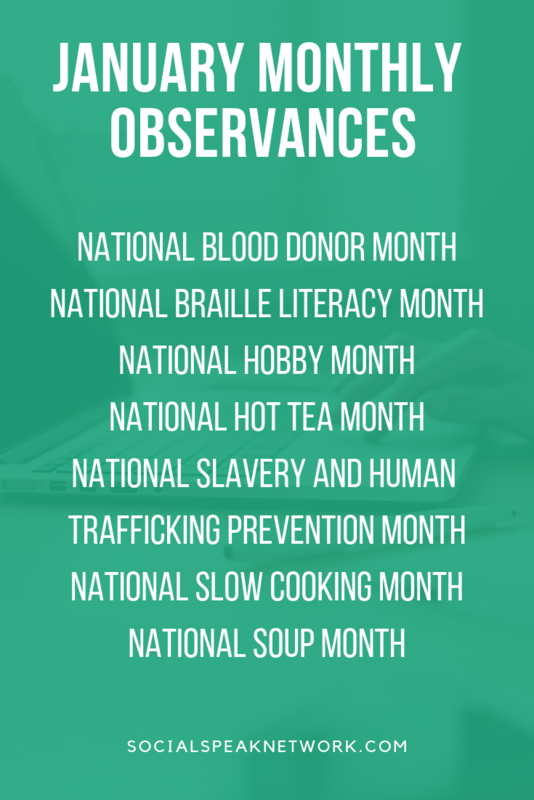 Does anyone on your team support organizations that rely on the exposure of these National Observances? 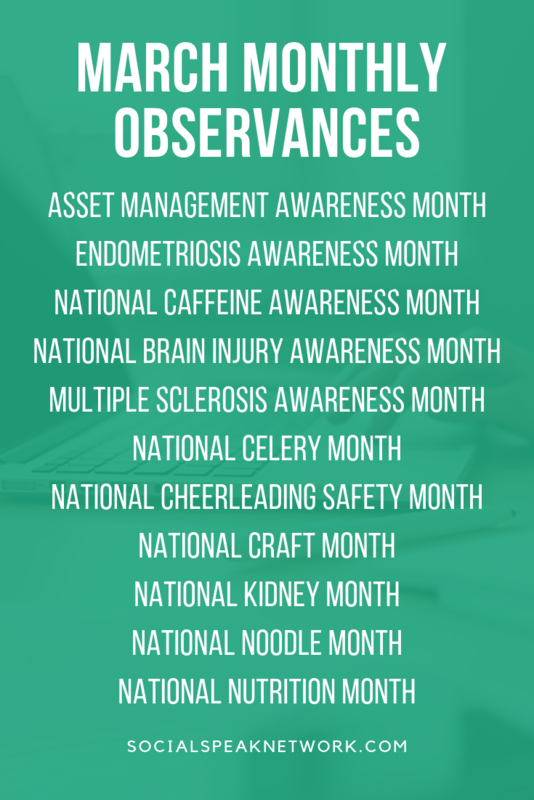 Once observances have been identified for your business to highlight in the Content Plan, be sure to assign the observance to an individual. Make sure they consider the goals of creating content for the observance, specific promotions related to the day, partners to approach for joint marketing efforts, etc. 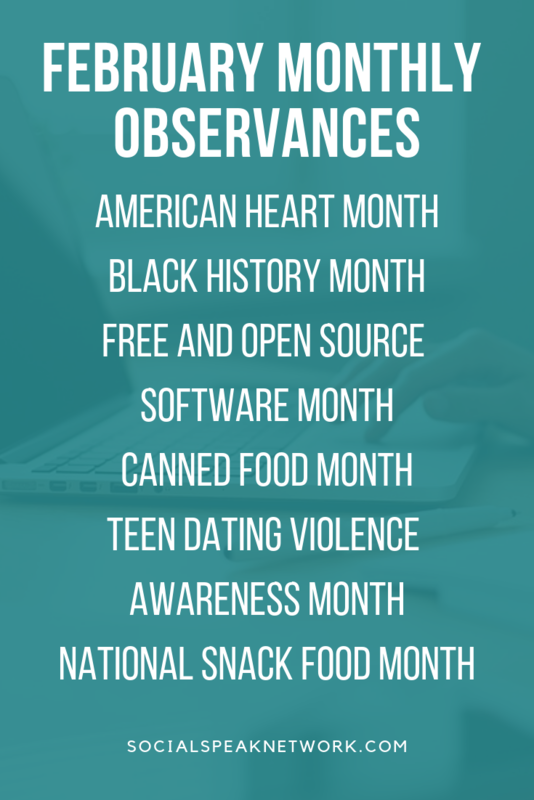 And of course, if this has been helpful for you, or if you’ve considered outside the box ideas to incorporate National Observances into your content plan, leave a comment below! 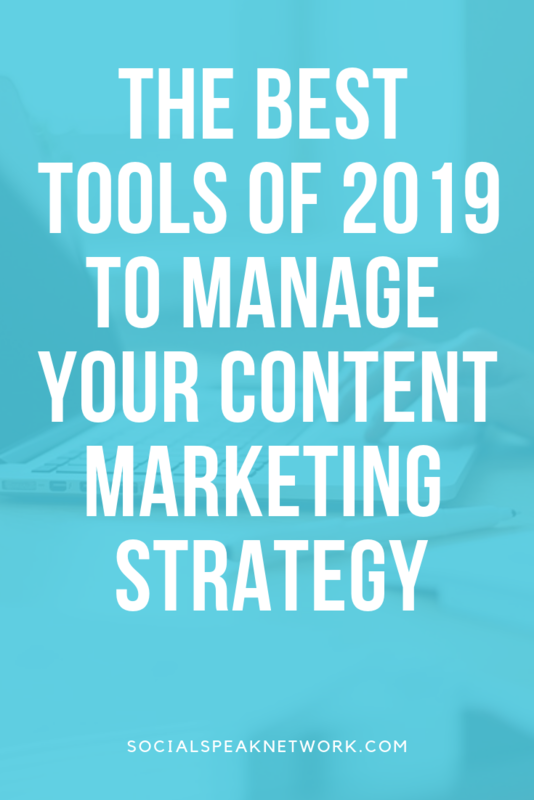 With all the tools out there it can be difficult to know which content marketing strategy tool you and your marketing team should be utilizing to make sure everybody is moving in the same direction. In this blog we take a look at the most prominent content marketing calendar apps that are available for many different sized businesses. 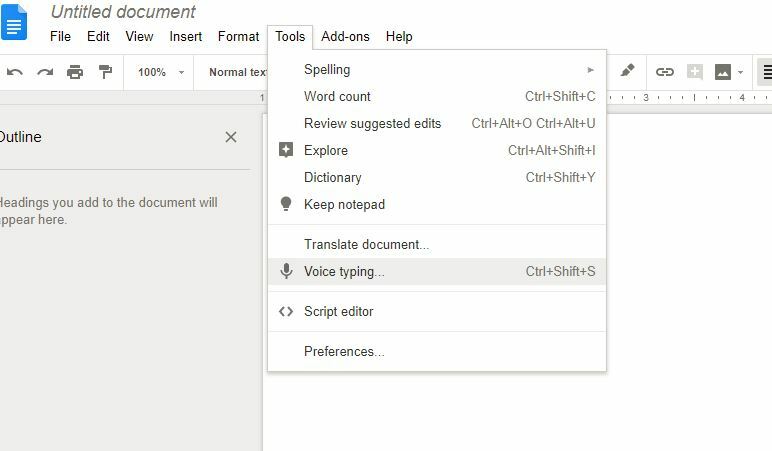 For small businesses, including those with just one marketing manager, you can get away with organizing your ideas in a Word document or a Google sheet. However, once you have multiple people working towards that same goal of making sure your business is found and sharing the correct message in your marketing strategy, it is important to consider upgrading to a scheduling and management interface that allows everybody to clearly see where their piece of the pie fits in with the larger content strategy. Many of the applications discussed including Monday.com, HubSpot, CoSchedule, and MeetEdgar have a variety of price points. Again, in our experience, if it is just you, typically you can get away with organizing your ideas on a spreadsheet. So, let’s dive into there popular content management platforms. The first application that we are going to discuss is CoSchedule. CoSchedule creates One calendar that allows everybody to be on the same page, it allows everybody to communicate in one place. 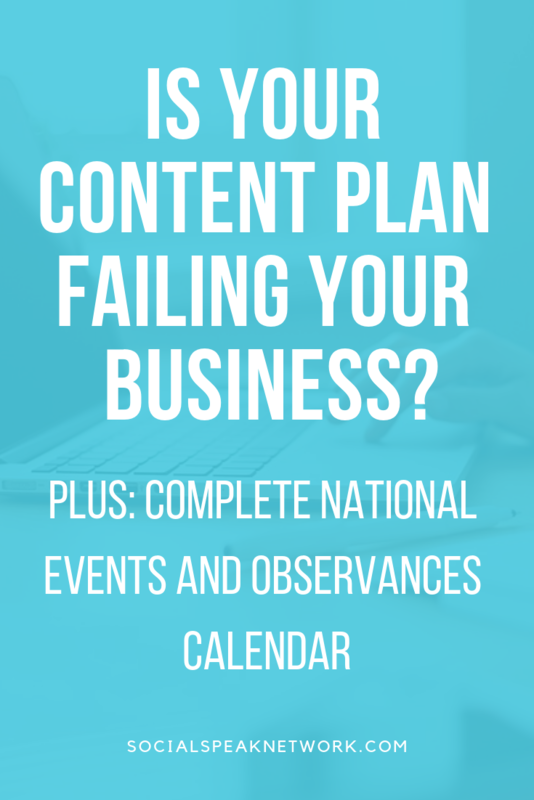 Additionally, with the more advanced plans of CoSchedule, you can organize everything from event planning through to email marketing, social media, and blogging. CoSchedule is incredible tool for large teams and complex marketing organization. One of my favorite aspects of CoSchedule is the ability to create ongoing follow-up social media links to blog posts in one or two clicks. For solopreneurs, CoSchedule is a little More expensive than other options. Solo plans do start at $0 to $20 per month, with most individuals looking at the $40 per month option – typically a spreadsheet along with one of the less expensive tools will do the trick. Where CoSchedule really shines is with in-house marketing teams looking to manage full-scale campaigns. The professional plan starts at $400 per month, and allows workflows approval flows multiple calendars and comes with a dedicated account manager. From a project management standpoint, this plan reduces the need for multiple individuals providing guidance on any given combination of marketing strategies. Many of us are very familiar with HubSpot. 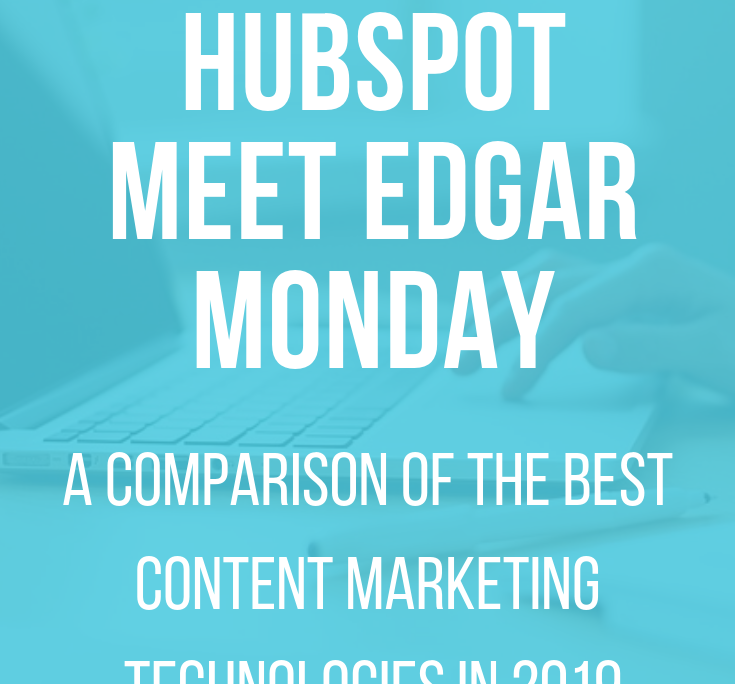 HubSpot has a combination of three tools and complete inbound marketing management resources. HubSpot places the emphasis on collecting inbound leads from your social media and digital marketing content. Though there are numerous tools that you can use to create the same systems and processes, HubSpot’s value proposition is that everything is in one place. Our favorite plan within HubSpot, is again there professional plan. Though the Enterprise option has much more advanced settings such as predictive lead scoring, it is a much higher investment. With the professional plan at $800/month, you have access to SEO and content strategy, social media, calls to action and landing pages. Additionally, there is a/b testing marketing automation, smart content, and the ability to add teams. The workflows are easy to set up, and create very systematized automation within your marketing and strategy. 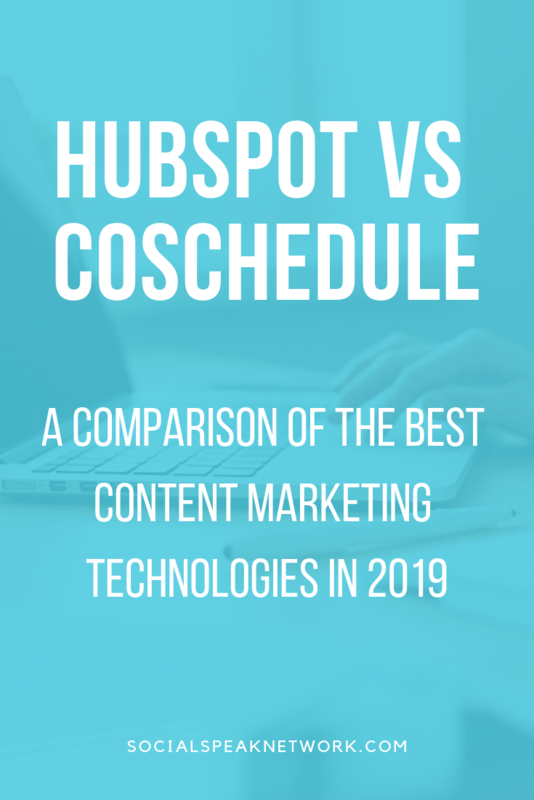 This tool, HubSpot, is a great option for businesses that have a marketing team, and want to make sure that every aspect of their marketing is working together. Again, HubSpot places inbound leads at the forefront of all of their software. Monday allows you to customize your workflow and dealt out strategies to multiple different teams. Monday is a great project management tool, however we found it a little difficult to manage a Content strategy and editorial calendar. The use of Gandt charts seems like a great idea, but it made projects difficult to understand exactly what steps needed to be completed and if we were on track. Many of our processes tend to be one or two steps, so again it seemed like a little too much for social media management. With plans starting at $25 per month, and unlimited boards, Monday is a great opportunity to integrate into your workflow if you need to do more project management rather than content creation and syndication. Because there is no central calendar, it can be difficult at times to see how each of the boards really work together. Another positive for Monday, is the time tracking capabilities, so each member of your team can have a clear understanding of the time spent on each task. This allows you to easily understand if some aspect of marketing is taking much longer than others. Additionally, Monday.com could be used for larger marketing promotions, however, most businesses need a tool that also works for day-to-day management. The next tool we will take a look at is Edgar. Edgar is a great option for businesses looking for a simple tool to manage their social media posting. Typically, we recommend you create a database of content. The content strategy video below, provides tips for places we recommend Gathering content ideas. Once you have all of the content, click go and Edgar will talk into action. We recommend small businesses and solopreneurs look at Edgar as an option for their social media management. One issue with this, is that it does not allow you to clearly see the complete marketing strategy picture. Each aspect of your digital marketing content calendar and content strategy still exists in its own space. 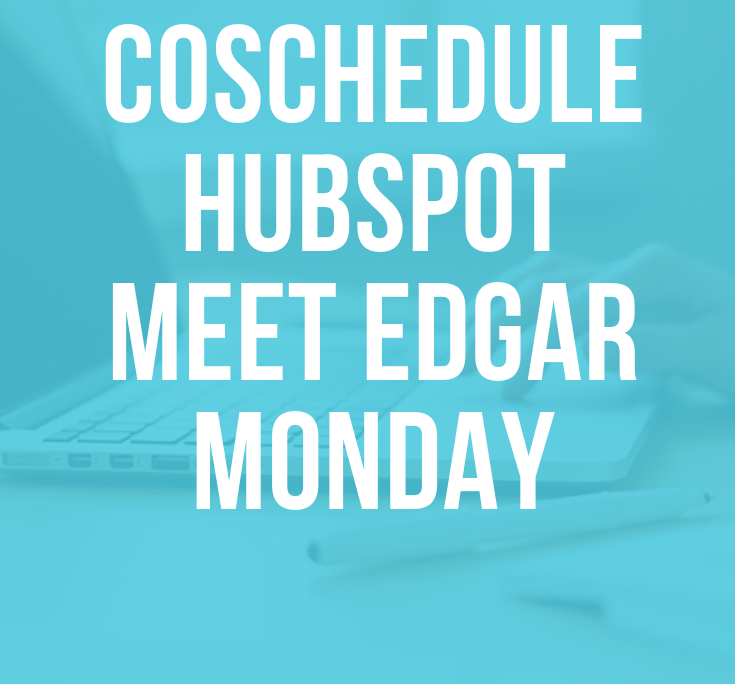 Meet Edgar is a great tool for teams to use that do not have very complex marketing promotions in place. If you are one person team it can be an excellent resource for you. 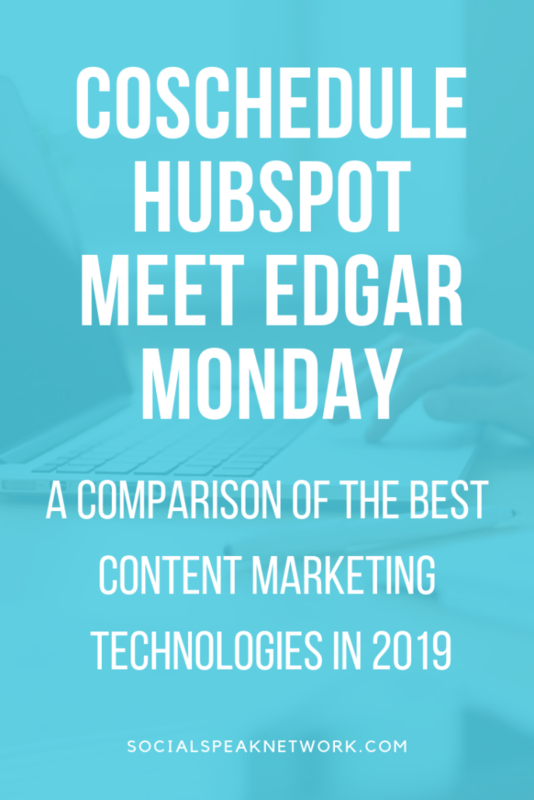 Because I mentioned meet Edgar, I also should mention that for social media management, we utilize at such as Tailwind, Later App, Buffer, and HootSuite. I won’t go into it because he’s here, because they are more for just social media management. Our blog on Social Media Content Strategy shares additional information regarding how to use each of these tools and where they fit into your social media marketing management strategy. Before settling on a tool and diving into figuring out the setup and on-boarding your team, make sure you are clear about the goals you hope to achieve through using the software. Remember, choosing a tool to help keep track of marketing campaigns and content creation still requires that you understand what topics you plan to discuss and having your team actually write the content. We have other blogs and videos that cover how to identify key topics to include in your content marketing editorial calendar, as well as a structure to follow for creating your editorial calendar. We often recommend starting with a word doc or spreadsheet rather than immediately hoping into the software you choose. 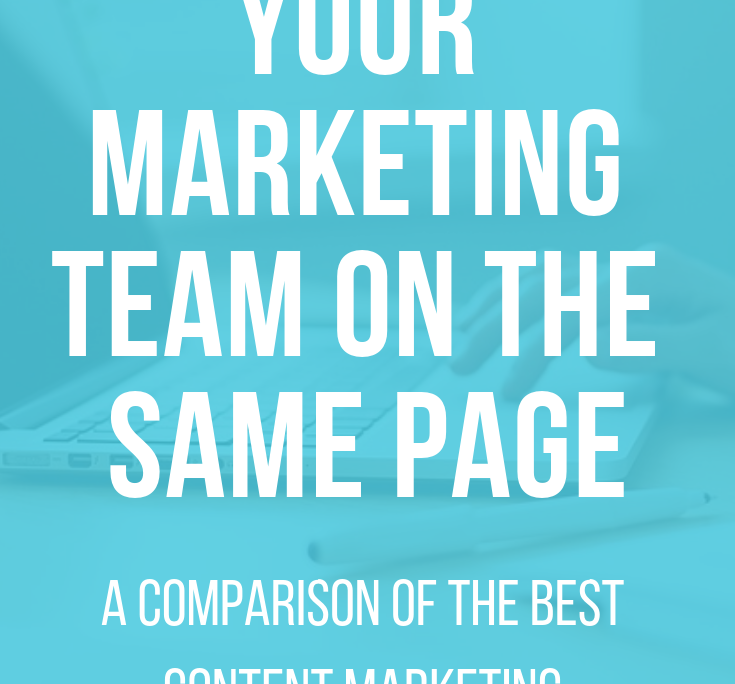 Again, this helps to make sure your team is all on the same page as you move forward with your inbound marketing strategy. 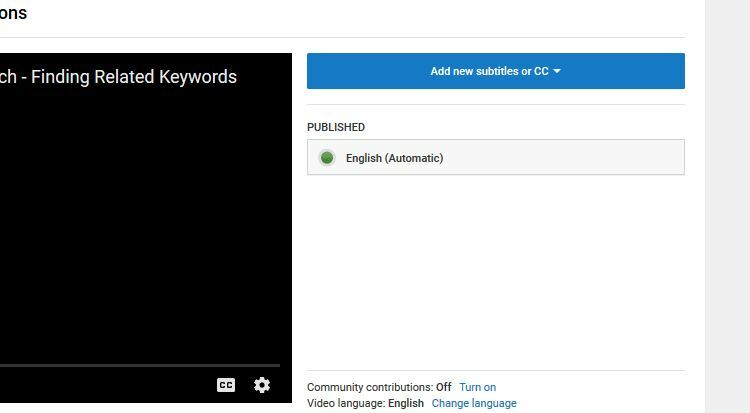 In this video I take a look at how you can find related keywords on Google to boost your position in search results. Are you Making this Services Page Mistake? Services pages are often thrown together by businesses just because they know they need something to explain what they do. We’ve spoken with hundreds of business owners who “plan” to go back and edit their services, but got busy and just haven’t had the time. Quick, take a look at your services page(s), what do you see? If your website is like most businesses, your services pages focus heavily on the features of what you offer. This is the BIGGEST mistake your business can make on your services pages. So, how should your services page be written? Rather than thinking about what you offer specifically, think about how your offerings can transform the lives of your clients. To do this, you need to change your mindset. First, identify the individual who would benefit the most from each service you offer. Think about their pains, their successes, and how your service BENEFITS them. Think about what other services this individual could sign up for rather than working with you. What makes you different. Second, try to transform the features of your service into benefits. Rather than answering what you are providing, go through the list of everything your service includes, and turn it into a benefit. Rather than simply listing the features of your services, the goal is to think in terms of the benefits and create an emotional response. Take a look at the answers you just wrote down – is there a way to turn this into a story? I put together the following questions to help you with your Services pages rewrite! Your services pages should be written in such a way that they speak directly to your target market and show them why they can’t live without working with you. Who is the ideal client for the service? In other words, what kind of person is the service designed for? Go beyond the easy answer such as defining a market. Instead, look to be as narrow as you can. There may be a slightly different persona for each service. What is the real value of the service to the client? This one is always hard to quantify. Try to think of this as a benefit beyond the obvious. What can individuals do in their life that they weren’t able to do before? Is there an emotional benefit? What is unique or different about your services vs. your competitors’ offering? These differences could be process related, team expertise related, time to completion related, etc. It’s easy for someone to provide a generic answer such as “we’re more experienced,” so you will have to ask follow-up questions. How are we more experienced? Can we tangibly show how we’re more experienced? What is the cost of NOT having the signing up for your services? This is a little more of the fear factor. What can go wrong for a client who doesn’t implement it? What do they risk if they forgo using you? How is the service delivered? This is a simple process question. What can your clients expect when they work with you with this service? Do clients typically have other services from you when they come in for this specific service? admin https://socialspeaknetwork.com/wp-content/uploads/2018/04/SocialSpeak-Logo.png admin2017-05-26 16:00:172018-04-07 20:45:12Are you Making this Services Page Mistake? This interview with Joe, the owner of Pebble+Oak, discusses the importance of speaking to your audience in both blog posts and on your website. We don’t expect our in-house team to be able to write coherently on every topic nor get the voice of all of our clients, so we rely on other writers to step up and fill in the void. Joe at Pebble+Oak is one of our go to copywriters who’s able to understand the vision of a business and articulate the unique selling points and their competitive advantage of their service. BIMS: So Joe, how did you get into the biz? Joe: I have always had a passion for writing, and after spending 10 years and the technology sector I saw the opportunity to begin working with clients to discover their own voice in an online world. BIMS: When you write for your clients how do you ensure that you are capturing their voice not your own? Joe: At the end of the day, writing is simply telling a story. Before I put anything down on paper for a client, I spend some time getting to know them, their company, who they’re trying to serve, and why they’re doing what they’re doing. I find that these conversations are incredibly insightful in terms of identifying and interpreting their voice and their message. BIMS: How important do you feel it is for business owners to concentrate on SEO in the blogs and articles that they are writing? Joe: Is SEO important? Yes. But, I found when business owners and writers concentrate too much on specific keywords, the message they are trying to convey gets lost. When this happens the connection with prospects and customers suffers. I recommend coming up with a topic and outlining your article, then writing it without necessarily thinking about the keywords. If you need to, you can always add these in afterwards to make it a little more clear for search engines. Often, however, just the process of creating an outline for your article will innately highlight your intended topics. BIMS: If we aren’t necessarily focusing on keywords in articles, what can we do to make sure that we are getting a big bang for our buck when we are writing blog posts? Joe: There are a few tips that I highly recommend. First, make sure you or your IT person correctly knows how to load a blog or article onto a website. This means utilizing header tags and adding alt tags to your images. It’s great if you can break up the long content utilizing bullet points or numbers! Within your blog post don’t hesitate to add links to other blogs on similar topics or pages on your website that relate to the blog post itself. And third, I always recommend finding external websites to write articles for rather than just your own site. Common examples include LinkedIn articles and Medium.com. Often, however, online publications and niche trade journals have the option for experts to contribute articles and content, as well. Contributing articles to these sources not only increases your reach beyond your current network, but it also helps to position you as an expert in the field. Above all, these articles create backlinks to your website! BIMS: I know you are very busy, so thank you for your time! I’m sure you will be back for more interviews in the future. Before we sign off, do you have any closing remarks that could benefit new and old businesses alike? Joe: There are a lot of buzzwords and “Flavors of the Week” when it comes to marketing your business online. It is easy to get lost in the noise and think “I should be doing that!” While many of these new ideas have merit, don’t lose sight of your values and your brand. Trends will come and go, but the companies who are consistent with who they are the ones that last. Is it to work as a brochure for your business, to tell the story of your brand, and to ultimately help sell your services? Now stop to think for a moment. When you wrote your services page, did you think about your company (and personal) values or did you just start listing off what you offer? So often when we are reworking websites for clients, we see their services pages simply stating what they can do. These pages get lost in the shuffle of competitors’ websites and don’t leave a lasting impression of the benefits of working with you, only the features. Features vs Benefits: What is it vs what is it for ME. Benefits, by definition, show the end result of what a product can actually accomplish for the reader. If you aren’t listing all of the features, what should you do? Rather than starting the writing process with the service in mind, start with your customer. Paint a picture and be as specific as possible. What are their fears? What problems do they face in everyday life? Actually write down their narrative and start telling their story. Through your writing, show this individual that you understand what they are struggling to accomplish and try to make an emotional connection with them. Validate how they feel and ask how they would envision their life or business if this stress was taken off the table. Take the time to write out how their life could change if they were no longer held back by their fears. Again, focus on the emotional aspects of the journey. Now, how do your services help to solve these issues and what is your process? How is working with you different from working with your competition? What is the cost of staying in the now versus signing up for your services? 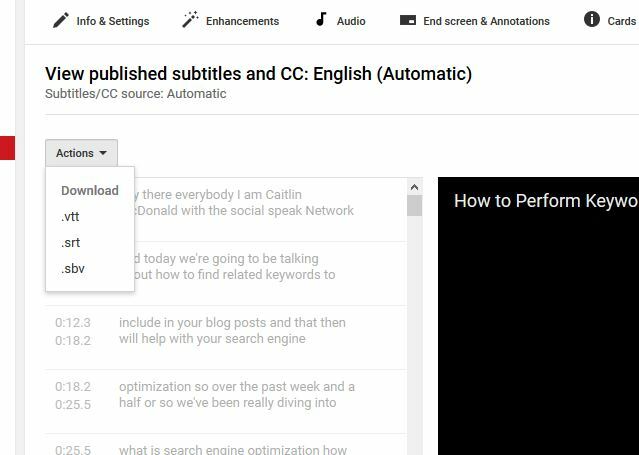 At the end of the page, add a call to action to entice your reader to take the next step. Take a look at what you’ve written. Have you listed off the features or are you actually telling a story that your prospects will relate to? The process of forming your services pages as a story can help you attract the people with whom you want to work rather than just anyone who could benefit from the services. It is a way of showing your values and the value you bring to your clients while at the same time coming across as your authentic self. Give this exercise a try and let me know what a difference it makes in your business! 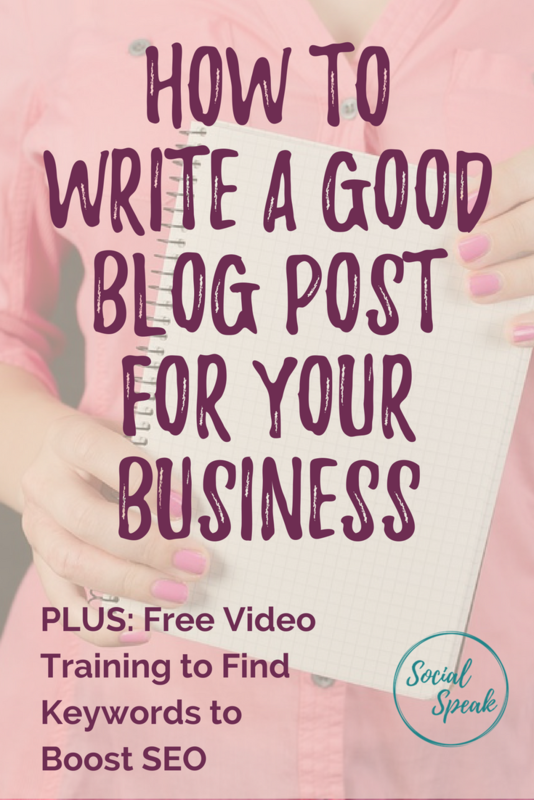 You wrote a blog… now what? We often are asked, “I wrote an article, what happens now?” This checklist provides an overview of the steps to publish your blog or article and how to share it as part of your digital marketing content strategy. Check the analytics of your post to see how much engagement it received. The worksheets in our Blogging eBook offer one place to store this information. Creating an editorial calendar for your marketing collateral is often an overlooked piece in designing your small business’ web strategy. These calendars create a easy to understand reference for your blog topics, newsletters, social media posts, and promotions. They allow you to keep ahead of upcoming holidays and make it so you don’t feel like you are always playing catch-up. Because many of us wear different hats within our business, it isn’t unexpected that some things just fall through the cracks. Unfortunately, however, sticking to a content calendar really is an income-generating task that should garner a space in your list of top-priorities. It is also something you can outsource if it makes sense for your business. What should your Editorial Calendar include and why is it important for your business? Your editorial calendar should be broken down by quarter, month, week, and even day. Additionally, it should include a column for blogs, newsletters, promotions, social media posts, videos, etc, and a column for results. When you put together your calendar, think about what you can commit to. Realistically, can you commit to writing a fresh article once a month, or every day? Do you have the systems in place to post daily to your social media networks or only a few times per week? Is there a social media network that you are most passionate about? Perhaps you should just focus on building this up rather than getting burned out trying to tackle too much at once. For each of these topics, brainstorm a short list of specific topics you can discuss. Add any necessary links in your notes or bullet points to provide more context. Now, think of the context for posting these. Can you post once per month on certain topics while only quarterly for others? Are there natural sales promotions that go along with the topics? What about videos? We have one client who has committed to filming quarterly reports rather than taking the time to write and format his analysis. Now it is time to add these to your content calendar. We’ve put together this workbook to help you organize your topics and ideas. Why follow an editorial calendar? Editorial calendars make it easier to stay consistent and keep yourself from being reactive. Consistency can truly transform a business as prospects come to know what to expect and trust you before taking the leap to being a paying customer. Additionally, being proactive about the content you need to put out allows you to be more mindful about your business and messaging. Stay tuned for more information on how to build your social media posts into your content calendar for your business!